Crown Finish Caves is a cheese aging facility and NYS licensed dairy plant located in the former lagering tunnels of the Nassau Brewery in Crown Heights, Brooklyn. 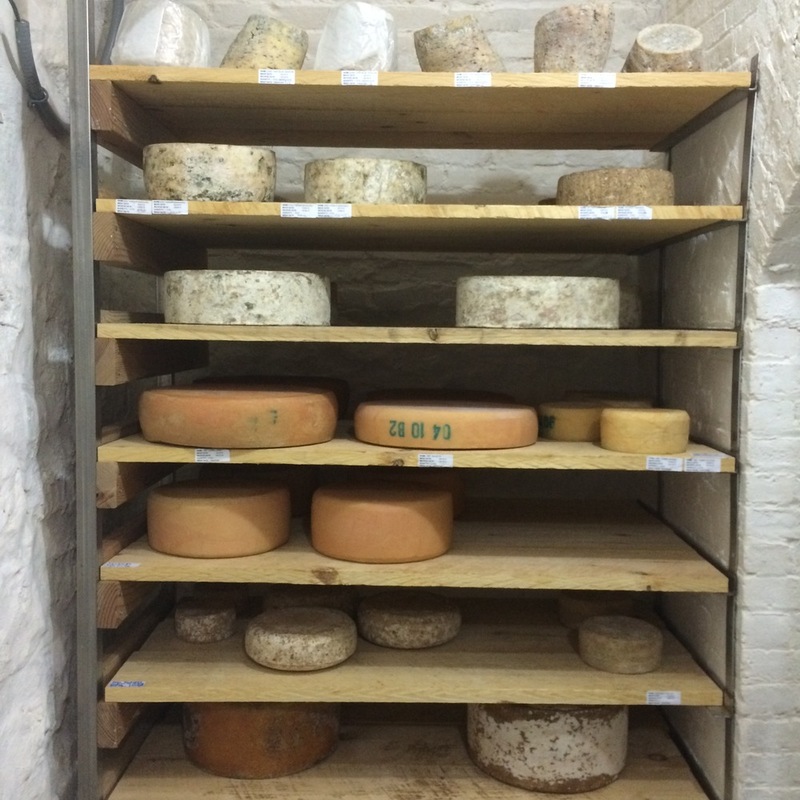 Sign up for cheese news and upcoming events including Cave Music and our Pop-Up Cheese shop! The Barnburner is a 2 hour cold smoked cheddar style cheese made from unpasteurized cow’s milk from Grafton Village Cheese. This annatto smoked block is made at the original facility in Grafton VT. 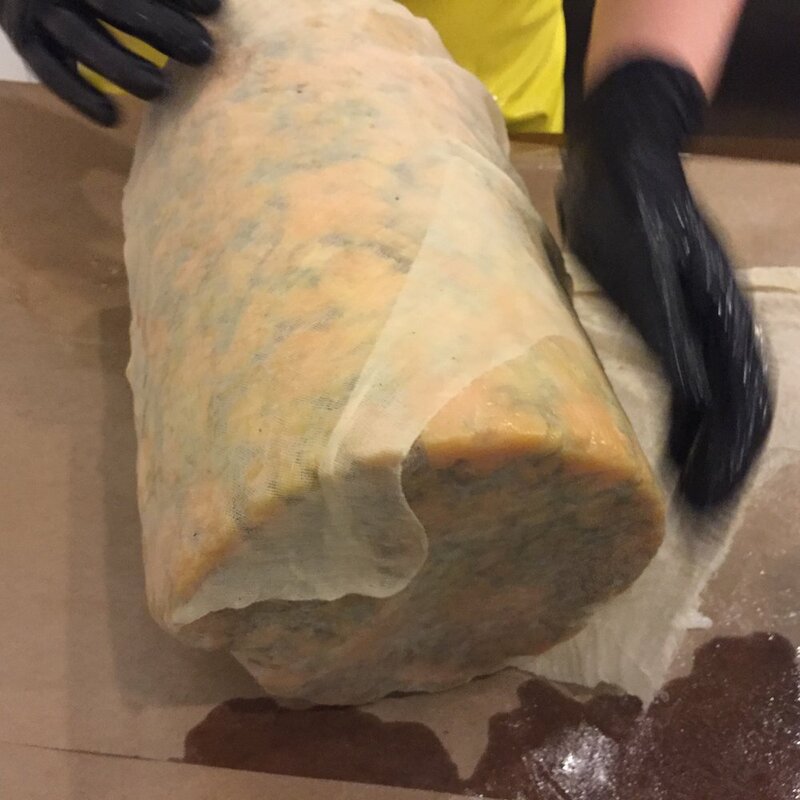 When the cheese arrives at CFC we bandage and lard the blocks before taking them into the cave and aging them 4+ months. Windham is a natural rind, raw milk Cheddar cheese from Grafton Village Cheese Company in Brattleboro, Vermont. 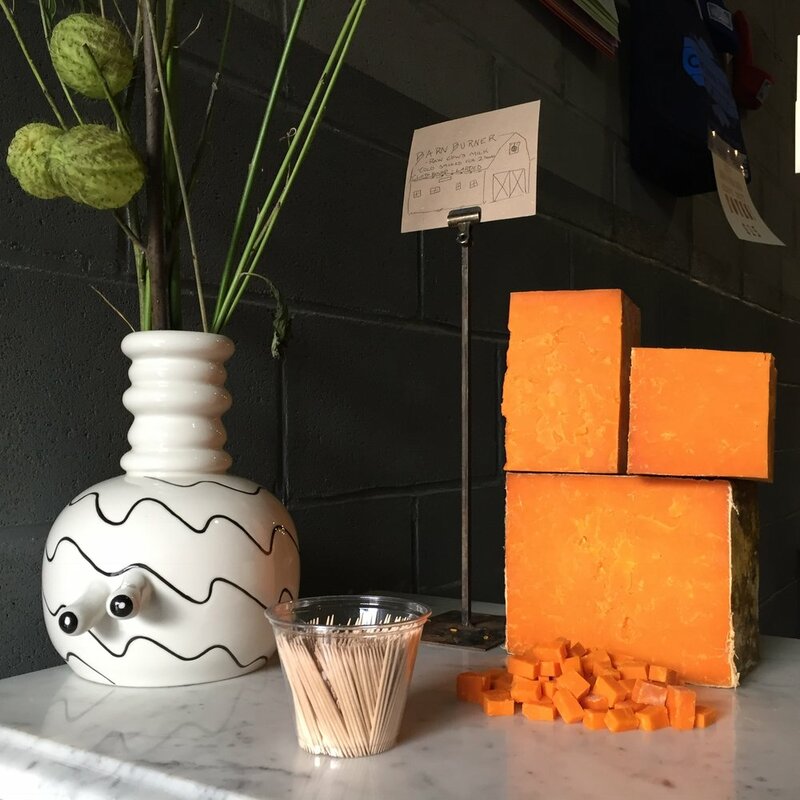 This rich and small-batch handmade cheddar is made 70% from Jersey cow's milk, which is higher in milkfat and protein. The sweet and floral flavor of the rind transitions to a pleasant mouthcoating paste, with hints of buttered popcorn and subtle lactic tang. The cave aged Windham is complex and flavor forward, yet approachable and great for the whole family. Available exclusively at Whole Foods Markets in the North East region. AVAILABLE EXCLUSIVELY AT WHOLE FOODS. Producer: Grafton Village Cheese Co. VT. This 30 pound Alpine-style from Spring Brook Farm is traditionally handmade in a copper vat and washed in brine for one year to encourage the development of beneficial microflora. Crack into one of these big ladies and prepare to be enveloped in its piña colada aromas. Tubby’s paste is bright yet brothy with a rind like crunchy peanut butter that will leave you craving another bite. Tubby is named for one of Brooklyn’s prominent 19th century architects, William Bunker Tubby. Please view our Tubby sell sheet here. Goatlet is a combination of 20% raw goats milk and 80% raw cows milk. It's based on the award winning Pawlet cheese from Consider Bardwell Farm in Vermont. The goats milk comes directly from the farm and is Animal Welfare Approved while the raw cows milk comes from a select neighboring farm that provides the highest level of grass fed cheese making milk. Goatlet has notes of a lemon cream pie and recently won 1st place in its category at the 2017 American Cheese Society Conference. Please view our Goatlet sell sheet here. 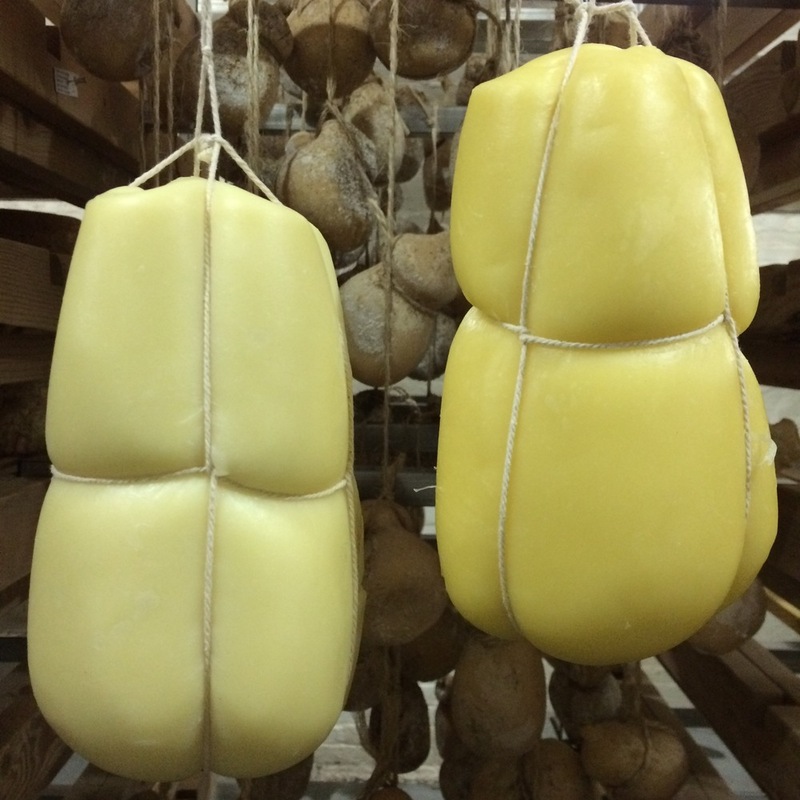 Our only imported cheese, Bufarolo, is hand made at the Gritti Family Farm in Bergamo, Italy. By the time the freshly made Bufarolo arrives at Crown Finish Caves it is still totally rindless. 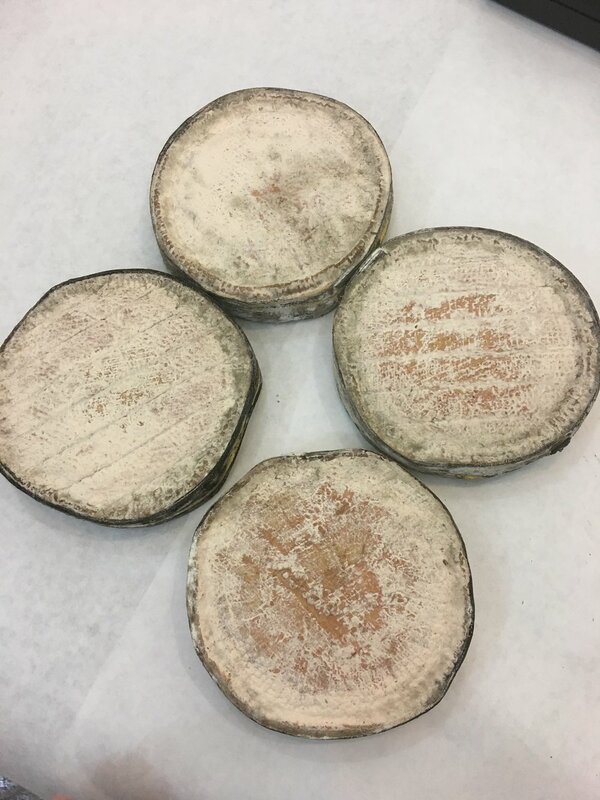 Over the course of its time aging in Brooklyn, Bufarolo develops an ambient, silver natural rind, which contributes a mushroomy earthiness to the bright, lemony, decadent paste. Named for a famous 19th century Vermont ram, Bandaged Bismark is a cheddar/Pyrenees-style hybrid. It is savory, sweet, and yogurty, finishing with notes of candied hazelnut. It's bandaged with smoked lard from Smoking Goose Meatery. Eat this cheese on its own or with a fresh green summer salad. While the cheese is made at Grafton Village Cheese in Vermont, the milk is sourced from nearby Amish farmers in New York State. Bandaged Bismark’s paste is a wonderful and bold expression of sheep’s milk, while the smoked lard adds a meaty note along with the natural cave environment of Crown Finish Caves. Bandaged Bismark won 2nd Place in its category at the 2017 American Cheese Society Conference. Reach new heights with this lactic set cow and goat milk cheese from Old Chatham Sheepherding Company! Subtle notes of tangy goat milk and fresh herbs are perfectly balanced with this cheese’s light and airy texture. A true Crown Heights original! Gatekeeper is a small format, soft ripened cow and sheep’s milk triple crème with complex flavors and a long buttery finish. Made at Old Chatham Sheepherding Creamery in the Hudson Valley, Gatekeeper arrives to Crown Finish when it’s a few days old. Once the rind is developed, we wash the cheese with Graft Cider’s Farm Flor a traditional American farmhouse-style hard cider that is tart and funky. Gatekeeper develops notes of ramps and orange blossom. This is not your average triple crème! Gatekeeper won 2nd place in its category at the 2016 American Cheese Society Conference. Producer: Old Chatham Sheepherding Company Hudson, NY. Trifecta is a mixed milk triple crème made in New York State’s Hudson Valley. This funky cheese is washed in Wandering Bine Saison from Three’s Brewing in the Gowanus neighborhood of Brooklyn. The series of beer washes adds notes of turnip and mushrooms. Spread it on a baguette or eat it right off of your knife. The vegetal, creamy, meatiness of Trifecta will balance any meal or cheese board. Please view our Trifecta sell sheet here. PRODUCER: OLD CHATHAM SHEEPHERDING CO, HUDSON, NY. Naked Pruner is a soft ripened sheep’s milk cheese. It is the “naked version” of our holiday-release leaf- wrapped Citizen Pruner. The cheese is allowed to ripen in the cave for a few days before washing it in Double Negative, a stout brewed by Grimm Artisanal Ales. This ongoing collaboration with the brewery gives variety to this cheese but what stays throughout the paste is tangy and cakey, while over time becoming pudgy, gooey, with hints of morel. This incredible cultured butter comes from one of the pioneers of the artisan cheese movement - Vermont Creamery in Websterville VT. They get high quality Vermont cream from the St. Albans Co-op We further ripen the cultured butter in our cave and allow it to age on stainless racks for 5 weeks. The butter then takes on a specific cave flavor profile. This project was created by Momofuku Ko and can be found on their bread and butter plate. PRODUCER: VERMONT CREAMERY WEBSTERVILLE, VT.
Hailing from Upper Jay, New York, Dutch Knuckle is an Adirondack Mountain Cheese, made from the raw milk of 9 milking Brown Swiss cows. We have a variety of ongoing small batch affinage projects with numerous producers. Pherno is a peperoncino provola-style cheese much like the traditional cheeses of Calabria that the Caputos have tasted in their travels. In fact, they infuse every log with a Calabrian hot pepper the locals refer to as diavulillu, or “little devils.” The paste of Pherno is very milky and buttey accentuated with a spicy heat from the peppers. Pherno belongs to the family of pasta-filata or stretched curd cheeses, just like mozzarella, giving the cheese a beautiful melting texture. The milk for Pherno comes from the Animal Welfare Approved herd at Apple Valley Creamery. 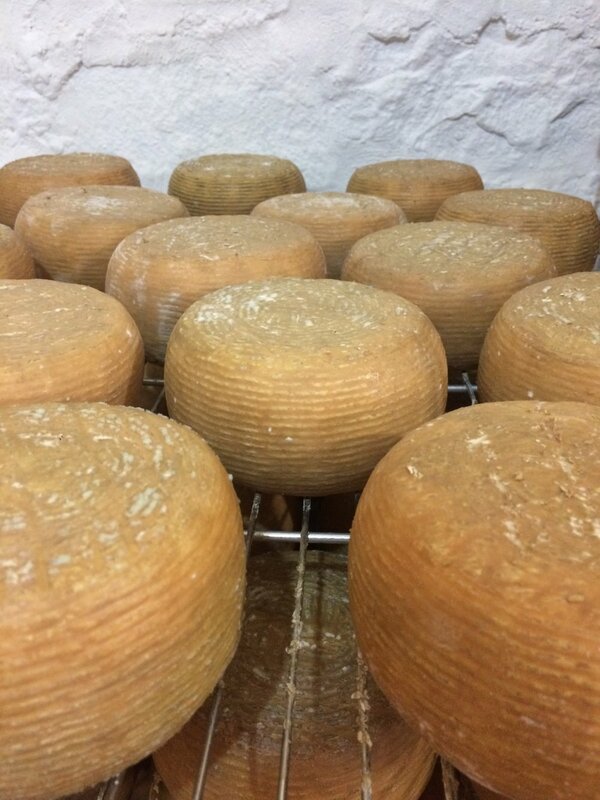 Wallabout is a traditional raw milk Tomme-style cheese made at Spring Brook Farm in Reading, Vermont and aged at Crown Finish Caves. This cheese has the aroma of fresh lemon bars with notes of the cave itself. It is bright and buttery with a Porto washed rind that has subtle flavors of toasted walnuts. Only two miles from Crown Finish is the Wallabout Bay, a historic port in New York City that has been home to the Brooklyn Navy Yard since the early nineteenth century. This 4oz. geo-rinded 3 week aged goat cheese is washed in Kings County Distillery chocolate whiskey. 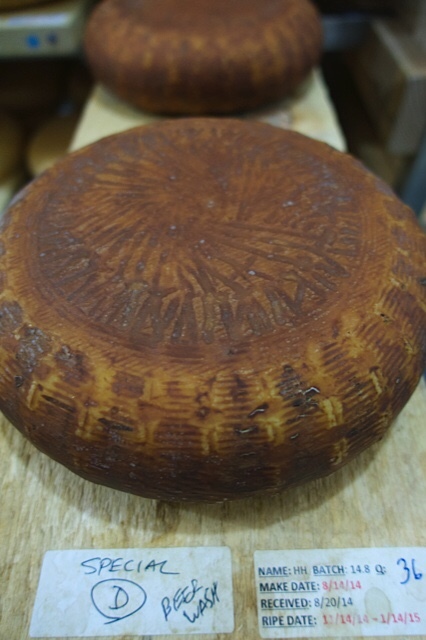 The rind has a floral and herbaceous nose with a hint of chocolate. The paste is soft and fudgey. 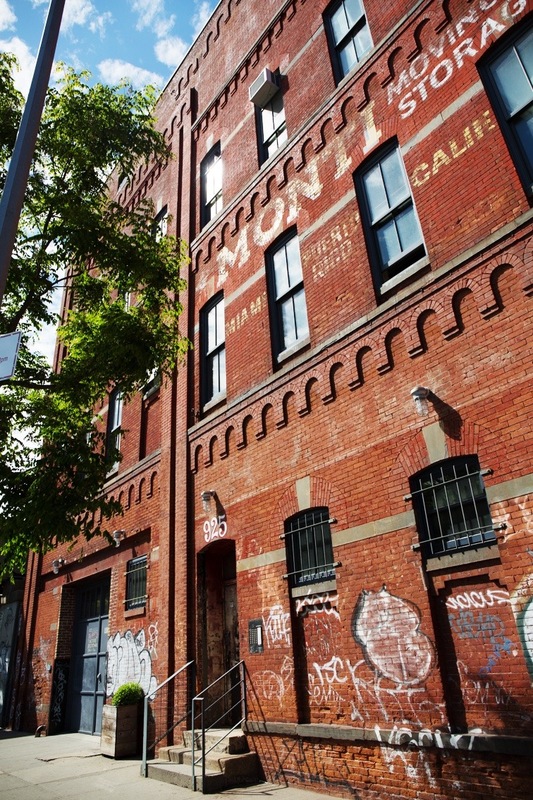 This is a unique collaboration with nearby Kings County Distillery which is housed in the former Paymaster building in the Brooklyn Navy Yard. 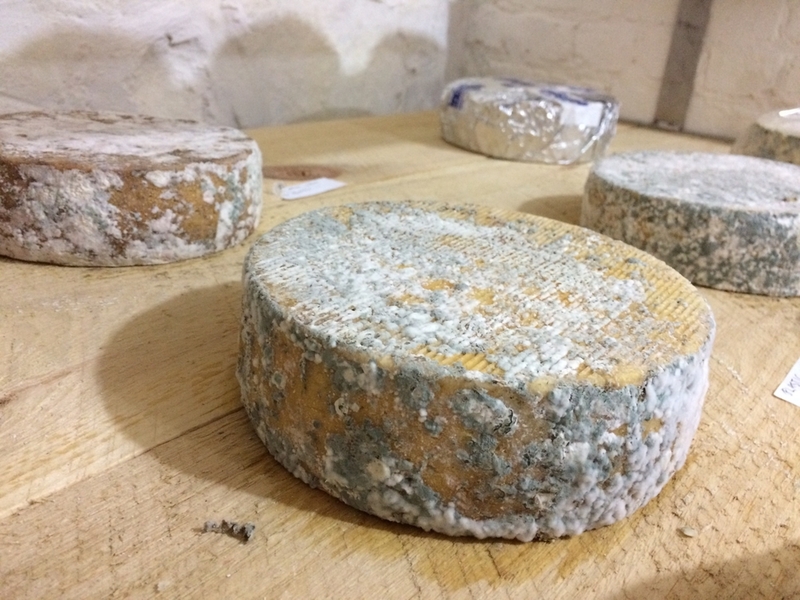 A natural rinded blue cheese made in the style of a traditional two curd Gorgonzola. Parish Hill Creamery, Westminster West, VT.
Semi Soft washed rind Whole Foods Exclusive cheese. Raw Cow's milk. Chaseholm Farm, Pine Plains, NY. Small and meaty semi-firm pasteurized Cow's Milk. Sugar House Creamery, Upper Jay, NY. Don't get too discouraged yet though- we sometimes get a small number of these in to reward our loyal customers with. If you're good you can have cake! Natural Rind hanging Pasta Filata, raw cow. Parish Hill Creamery, Westminster West, VT.
Hand ladled lactic cow's milk cheese. Bloomy, soft, limited. Sugar House Creamery, Upper Jay, NY. Sometimes makes a brief appearance in the cave! The making of Spring Brook Farm Cheese is a labor intensive process. Spring Brook cheese is handcrafted, requiring the knowledge and feel of the cheese maker to ensure proper handling from the first step to the last. High quality cheese can only come from high quality milk. Beginning in 2009 Spring Brook Farm made a shift to the use of all natural fertilizer on their pasture and hay fields. In 2010, they stopped the use of fermented feed for the dairy herd. These changes were made in keeping with the best practices of producing the cheese as well as supporting the Spring Brook Farm mission of sustainability at the Farm. The Grafton Cooperative Cheese Company was founded in 1892 by dairy farmers who gathered together in a cooperative to make their surplus milk into cheese. In the days before refrigeration, there were many such cooperatives in the rural agricultural communities and an abundance of fresh, creamy milk was turned into a food that could be stored for a longer period of time. In 1912, a fire destroyed the original factory. Several decades later, the nonprofit Windham Foundation restored the company in the mid 1960s, and a new era for the town was born. As a part of the Windham Foundation, Grafton Village works to promote Vermont's rural communities; you directly support that mission when you purchase Grafton Village Cheese. Grafton Village has two production plants: our original in Grafton and a new facility in nearby Brattleboro, Vermont. Each has a retail store, as well as viewing windows to watch cheesemaking and to taste the final product. Old Chatham Sheepherding Company was born back in 1993 when Tom and Nancy Clark bought 600 acres of lush grassy fields in Old Chatham, New York to form a sheep dairy farm. It soon became the largest of its kind in the United States. 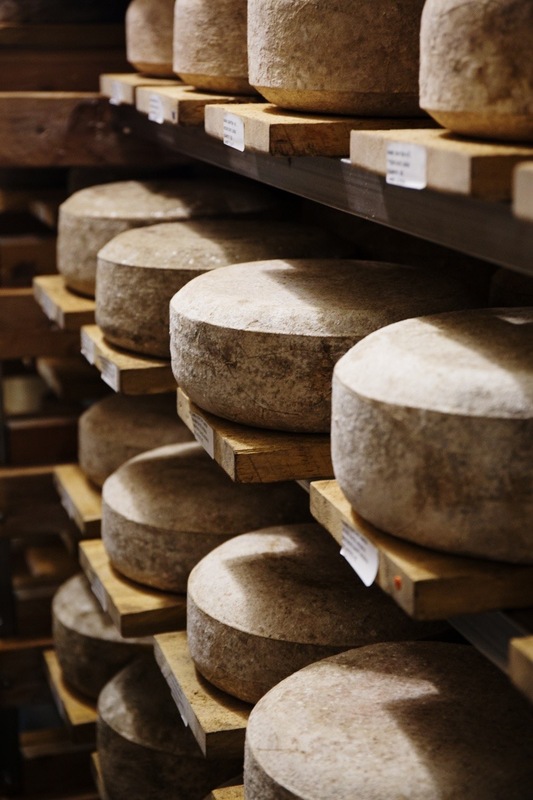 The Clark’s were involved in every aspect of the operation for nearly twenty years, from helping design the barns and the creamery to making the cheese itself. Dave and Sally Galton purchased Old Chatham Sheepherding Company from Tom and Nancy in December of 2014 and continue to produce Old Chatham’s original line of artisanal cheeses and sheep’s milk yogurts. Old Chatham’s cheeses and other products have won numerous awards over the years. Milk: 1000 Water Buffalo.The milk used for the production of dairy products comes exclusively from Quattro Portoni's Mediterranean buffaloes, raised in a fully open stable, in line with the latest trends and laws on animal welfare. Spanning the rolling hills of Vermont's Champlain Valley and easternmost Washington County, New York, 300-acre Consider Bardwell Farm was the first cheese-making co-op in Vermont, founded in 1864 by Consider Stebbins Bardwell himself. A century later, Angela Miller and Russell Glover are revitalizing the tradition with goat milk from our herd of Oberhaslis and cow milk from our two neighbor farm partners—the Brooks and the Browes. Rotational grazing on pesticide-free and fertilizer-free pastures produces the sweetest milk and the tastiest cheese. The cheeses are made by hand in small batches from whole, fresh milk that is antibiotic and hormone free. After numerous years of managing the herd and making cheese for Consider Bardwell Farm, Margot Brooks and Alex Eaton moved up to the Adirondacks and started milking 8 brown swiss cows. Today they are milking 12 cows and producing raw milk for sale and a variety of aged cheeses. Quesos Corcuera SL, has its origin in the year 1947 in the region of Toledo, is founded by D. Eusebio Corcuera Gómez & Mrs. Julia Sánchez de Pedro. His continuous evolution and the desire to do things with dedication and dedication continues for his children, joining the family business Ramón Corcuera, Carlos Corcuera and Carmen Corcuera, achieve their transformation by specializing in the production of Manchego Cheeses, Goat Cheese, Mixed Cheese . Made with 100% goat milk selected from the Montes de Toledo, tender, soft and buttery cheese. CAN I COME TAKE A TOUR? Food Safety is a primary concern for us here at Crown Finish Caves, and in order to prevent contamination or other sanitation issues we are unable to offer tours to the public. To get an idea of what the daily operations, cheese aging techniques, and the facilities look like, please follow us on Instagram or get a ticket for one of our cave music events. HOW DO I BUY CHEESE? 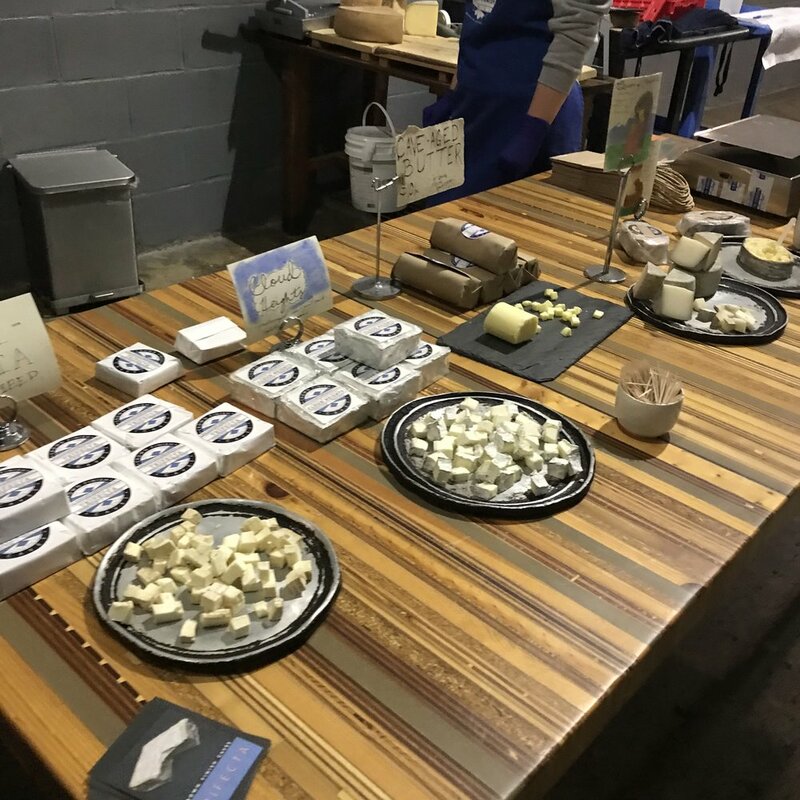 Please check out our "Where to Find Us" section to locate a CFC retailer near you We host pop-up cheese shops out of our facility every month. Check our Instagram or Facebook for updates on the next pop-up. We donate 50% of all cheese pop-up proceeds to a different charity every month. Retailers and restaurants can contact us at orders@crownfinishcaves.com for wholesale information. WILL YOU AGE MY CHEESE? All affinage inquiries can be sent to desk@crownfinishcaves.com. We are always looking for good folks to join our team. Many times we have internships available and they will be posted here. Email us if you think you might be a good fit. You will not know what you are getting until pickup. Could be raw or pasteurized and might be cow, goat, sheep or buffalo! Cheese will be wrapped of course! Got an event coming up? Maybe a birthday gift you need to get out there? Or a thank you gift? or just that cheese loving uncle you want to surprise. A fat wedge of our raw milk alpine style cheese “TUBBY” is now available be shipped in the lower 48 plus Hawaii! Get your order in by Thursday at noon and we’ll ship the following Monday. Tubby label designed by the Emmy Award winning Mike Perry!! We are now available at Whole Foods Markets in the Northeast, North Atlantic, Mid Atlantic, and South! Below are some videos and pictures from previous Cave Music shows. Once part of the Nassau Brewery, the Tunnels at Crown Finish Caves date back to the 1850s, when they were used for fermenting lagers until the brewery's closure during Prohibition. 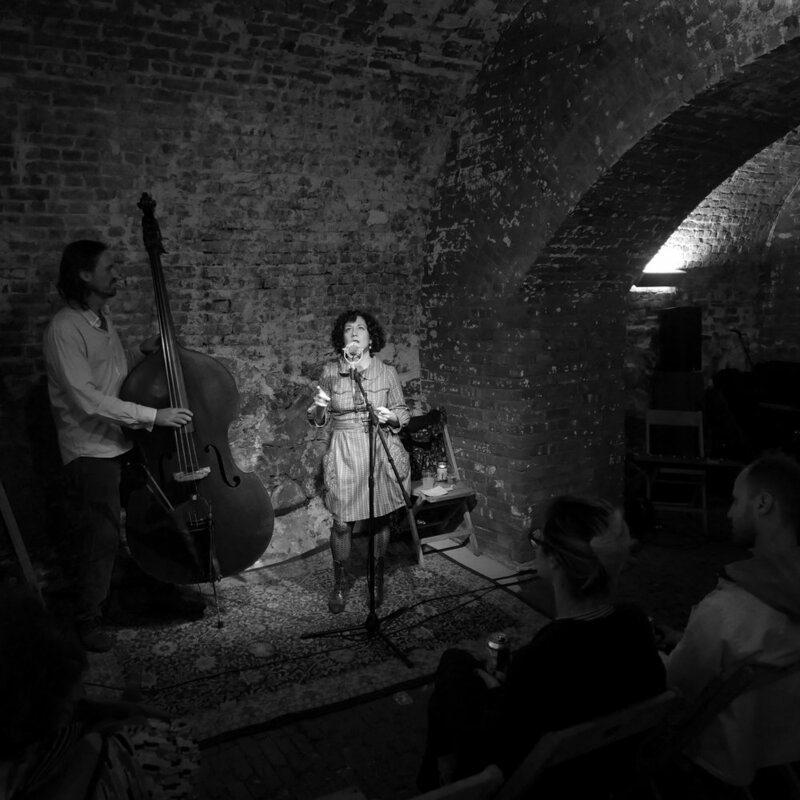 Cave Music is a bi-monthly subterranean concert series located in the intimate setting of one such tunnel. Check our Instagram and Facebook feeds or sign up for our newsletter Notes from the Underground for updates on upcoming shows and pop-ups! Tickets go very fast. We also try to hold a raffle for a few tickets at our pop-up cheese shop events. The registration will open on Monday April 15th at 12pm and close Friday April 19 at 12pm. Winners will be notified on Friday April 19 at 5pm. If you are not a winner you have another chance by attending our POP-UP Cheese Shop on Saturday April 27. Sign up with your email address to receive news and updates on Cave Music and Pop-Up Cheese shop events! Korean food magazine, Magazine F, spent the day with us and took more pictures than we’ve ever seen anyone take. We think they came out stellar! We are honored to see Gatekeeper, our cow and sheep milk triple cream from Old Chatham Sheepherding Company, featured in this holiday triple cream list written by Kristine Jannuzzi. 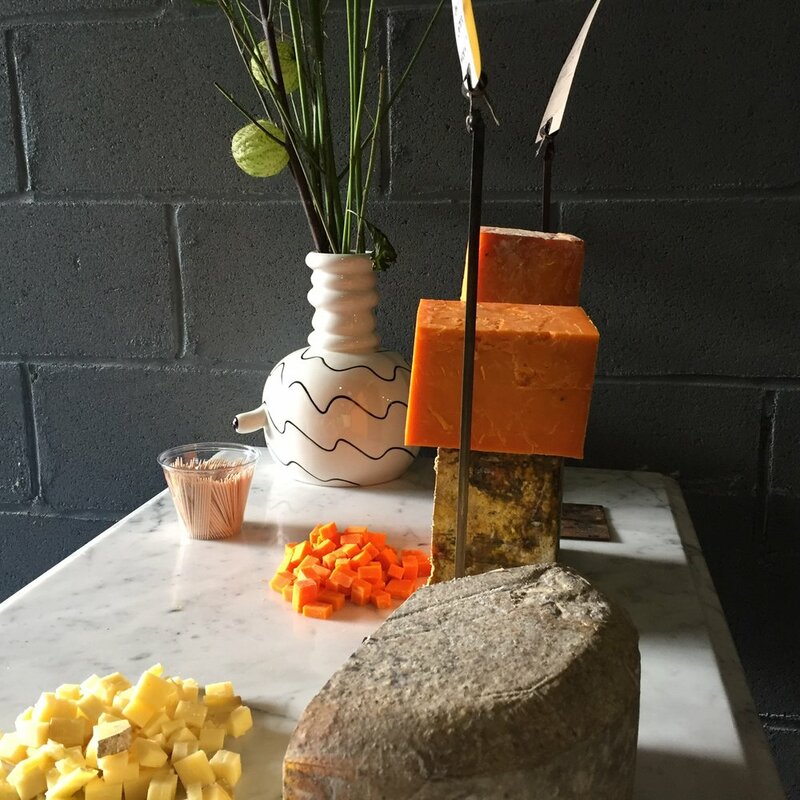 Our custom project, Amour from Walden, in partnership with Saxelby Cheemongers and Angry Orchard Cider, was featured. 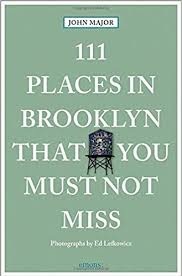 Our Cave Music series and monthly Pop-Up shops were featured in this great book about Brooklyn! Find us nestled between other borough attractions like cricket games at Dead Horse Bay! The Bone Char Square, our collaboration with Blue Hill, Saxelby Cheesemongers, and Old Chatham Sheepherding, was featured in this August 2018 article in Culture Magazine! We are honored that our Bufarolo, from Quattro Portoni in Italy, AND Barkeater, from Consider Bardwell Farm, were considered among the 20 best cheeses of 2018! Cheese expert and author Tia Keenan listed Cloud Heights, our lactic set cow & goat milk cheese from Old Chatham Sheepherding Company, in this list of picnic perfect chevres and we couldn’t agree more! Every other month or so we have a Pop-UP Cheese Shop in our building where we sell cheese in our community. You’ll find unusual cheeses and R&D projects that can’t be found in stores, along with more exclusive offerings like our cave butter.